Let’s prepare for the Fall and Winter holidays by discussing how sugar and carbohydrate intake affect immunity and how you can help keep you and your children well through the festivities. We will offer daily recipes at the bottom of each post. We will return to the Bone Broth Marathon at the completion of this series. Let’s start by looking at the normal carb and sugar intake of an average American eating the Standard American Diet. If you don’t wish to read the info, you can scroll down to find today’s recipe at the end of the post. In 2000, the average American consumed about 152.4 pounds of dry weight refined sugar per year, mostly as table sugar (43% by dry weight) and high fructose corn syrup (42% by dry weight) as one part of a high-carbohydrate diet. This is a 39% increase over the 1950s. This amounts to an estimated 32 teaspoons of added sugars per person, per day!! The USDA recommends only 10 teaspoons of added sugars a day. In 2000, Americans consumed an average of only 1.5 pounds a year in sweeteners that weren’t derived from cane/beet or corn. That includes unrefined sweeteners such as real maple syrup and honey. In addition, most Americans consume large amounts of refined carbs other than sugar. According to the USDA, the average American consumed about 200 pounds of flour and cereal grains per year in 2000, an average 10 ten servings a day PLUS manufactured foods such as cereal, biscuits and crackers, corn chips, popcorn and the like. Of that consumption, only 7% of people are making 3 or more of those servings as whole grains. Of course, these numbers are for 2000. If you’d like to see the USDA report, which is a pdf file, which you can view here. The National Center for Health Statistics released updated statistics for 2007-2008. The report, which you can view here, states that carbohydrate consumption went down very slightly between 2000 and 2008. So as we can see, the average American consumes about half of their daily calories in carbs- women consumes about 896 calories and the average many consumes about 1,199 calories a day in carbohydrates, including sugars and whole and refined grains. I converted grams to calories by multiplying by four. There are four calories per gram of carbs and protein and nine calories per gram of fat. So we can draw the conclusion that children are taking in about the same percentage of carbs as total calories as their parents. But what about sugar? Those numbers were hard to pin down, as the studies separate it out to minutia and don’t really pull final numbers together. I added it together here. The percentage of carbohydrate calories was concluded by dividing the total grams of sugar by the mean intake in grams in the table above. Using these statistics, it is safe to assume that about 25% of a child’s calories comes from sugar and about 25% comes from other carbs. Let’s put these numbers into info you can grasp. One pound of sugar has 453 grams. 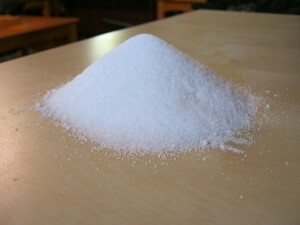 That means that the average 12-15 year old child is consuming the equivalent of about .4 pounds of white sugar a day!!! The other startling statistic out of this is the amount of artificial sweeteners consumed by children. 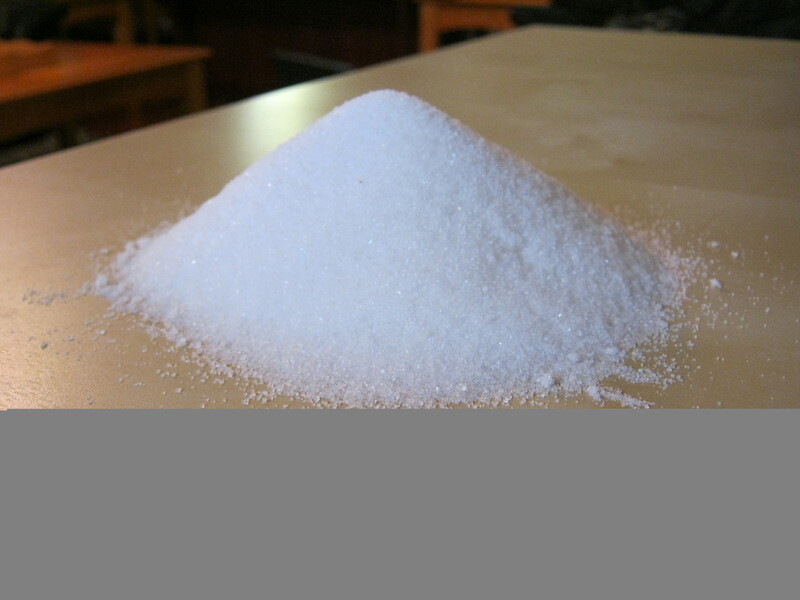 Sucrose is table sugar or white sugar. Older teens consume half as much artificial sweeteners as sucrose! In tomorrow’s post, we will look at the different types of carbohydrates and how your body processes them. Pumpkin Custard is a treat I like to do through October and November. My children love it. I serve it for breakfast or dessert. It is important to make sure the water is boiling or close to boiling when you pour it into the custard pan. The slow, even temperature rise of the water helps to cook the custard evenly and thoroughly. This recipe works out to having 1 Tbs of sweetener per serving. Line a 9×13 or roasting pan with a towel. Generously grease four ramekins and set them inside the 9×13 pan in a single layer, on top of the towel. Set aside. Set some water on to boil. Place one oven rack into the middle of the oven and preheat your oven to 325 degrees. Combine all ingredients in a mixing bowl and whisk until smooth. Spoon evenly into custard cups and place the cups into the roasting pan. Place roasting pan into the oven and pour the boiling water into the roasting pan, around the ramekins, to the depth of 1 inch, making sure not to splash any of the water into the ramekins. Close the oven and bake 50-60 minutes, or until set.